The REMS TA Center has created Web badges and email signature banners for use by our Federal partners, organizations, schools, school districts, institutions of higher education (IHEs), and state education agencies. Please download the badges and banners—which are available in different sizes—and link them back to the REMS TA Center Website. To download the badges and banners, right click on the images and then select Save Picture As. This will allow you to save the badge or banner to your computer and to insert it onto your Website and/or email signature. To link the badge or banner back to the REMS TA Center Website, use the hyperlink function available via your Website management and/or email management system and use https://rems.ed.gov. When you do link to the REMS TA Center Website, please send an email to info@remstacenter.org to let us know. 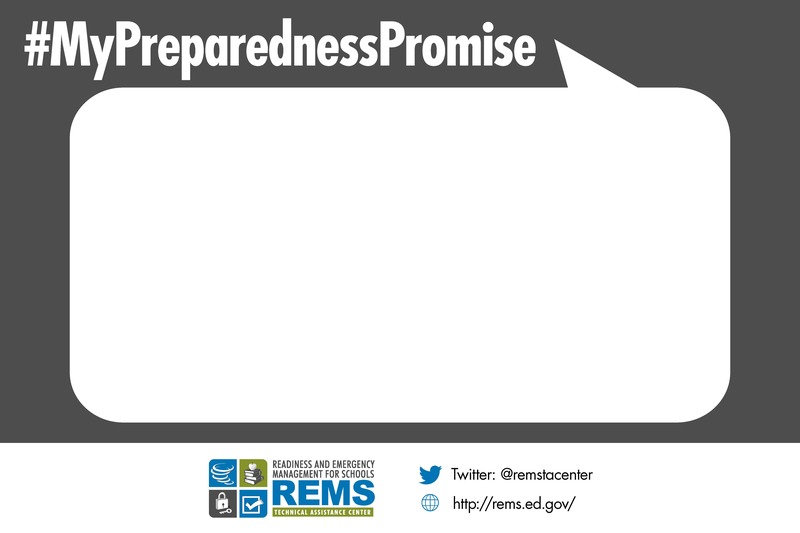 Social Media: Tag @remstacenter and add the #MyPreparednessPromise hashtag when you add your post. Email: Send a copy of your promise to info@remstacenter.org under the subject line #MyPreparednessPromise. These badges can be displayed on a Website to share the School Guide and IHE Guide (Guides), the Adult Sexual Misconduct (ASM) Training Guide, the Community of Practice (CoP), and the #MyPreparednessPromise campaign with practitioners in the field, K-12 schools, and IHEs. Post the badges to your Website and link them back to https://rems.ed.gov. Once posted, anyone can click on the badge to go directly to the REMS TA Center Website for more information on developing high-quality emergency operations plans (EOPs), and on joining our CoP. These banners can be added to email signature lines to share the School Guide, IHE Guide, ASM Training Guide, CoP, and EOP Interactive Tools with practitioners in the field, K-12 schools, and IHEs. Once the banner is linked to https://rems.ed.gov, anyone can click on them to go directly to the REMS TA Center Website for more information on developing high-quality EOPs, on joining our CoP, and using, installing, or downloading our EOP Interactive Tools. Why should I promote these resources? 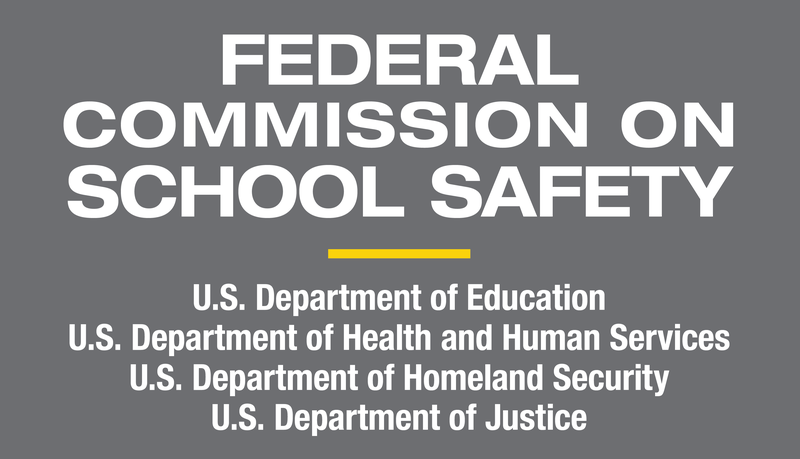 Each school day, our nation’s schools and postsecondary institutions are entrusted to provide a safe and healthy learning environment for students, faculty, and staff who live, work, and study in their communities. When schools and IHEs are faced with emergencies ranging from adult sexual misconduct and active shooter situations to fires, tornadoes, floods, hurricanes, earthquakes, and pandemic influenza, this is no easy task. Many of these emergencies occur with little to no warning; therefore, it is critical for schools and IHEs to plan ahead to ensure the safety and general welfare of all members of the campus community. In collaboration with their local government and community partners, schools and IHEs can take steps to plan for these potential emergencies through the creation of EOPs and by connecting with others in the field. On June 18, 2013, the White House released the Guides, which incorporate lessons learned from recent incidents. Schools and IHEs can use them to create new plans as well as to revise and update existing plans and align their emergency planning practices with those at the national, state, and local levels. Planning teams responsible for developing and revising EOPs can use the information presented here to guide their efforts. It is recommended that districts, individual schools, and individual IHEs compare existing plans and processes against the content and processes outlined in the Guides. To gain the most from it, users should read through all of this content prior to initiating their planning efforts, and then refer back to it throughout the planning process. The content of the Guides is organized into five main sections and broken out into easy-to-read parts. Using the Guides will also help schools and IHEs make sure their plans are aligned with state and Federal laws and regulations related to emergency management. Over the past 2 years, the REMS TA Center, under the lead of the Secretary of Education and the U.S. Department of Education’s Office of Safe and Supportive Schools, and in collaboration with the Secretary of the U.S. Department of Health and Human Services and the Attorney General, has conducted research in the form of literature reviews on the topic of ASM in the school setting. Using the results of our research, we have prepared this training guide for K-12 educators to support their efforts to prevent and manage ASM incidents that occur in the school setting. The content is organized into five chapters and broken out into easy-to-read parts. Schools and school districts can use this training guide to help inform their EOPs and/or related ASM policies and procedures to align with national and state recommendations. 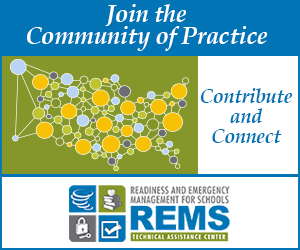 In August 2014, the REMS TA Center unveiled the CoP, which is the first all-inclusive forum to encourage the exchange of ideas on topics related to school and higher ed emergency management. Staying in touch with current trends, best practices, and lessons learned in the field is one way school and higher ed emergency management planning teams across the country can learn how to work more effectively. It becomes easier for planning teams to collaborate when they feel connected to the issues and have a forum to discuss, explore, and understand common concerns beyond the scope of their own experiences. In October 2015, the REMS TA Center released an enhanced version of the CoP that allows members to receive external email notifications, add forums, and view forums based on their population. After creating a CoP account, community members can start and join conversations on a variety of topics related to school and higher ed emergency management. Members can also request access to community huddles, which encourage discussions among people with special and common interests, such as parents, principals, and IHE presidents. The REMS TA Center has released a variety of interactive tools that support emergency management planning. In August 2014, EOP ASSESS was launched to allow individuals from schools, school districts, and IHEs to assess their emergency management capacity and understanding of key concepts in the Guides. 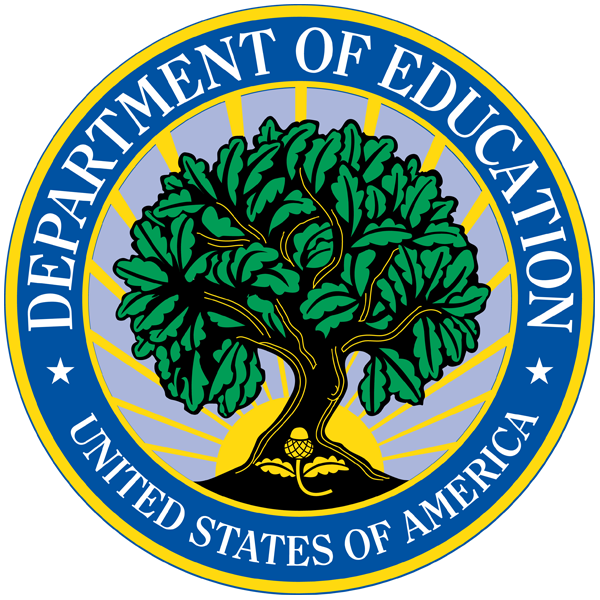 This tool was followed by EOP EVALUATE, which was released in October 2014 to allow schools, school districts, and IHEs to evaluate their EOPs against the Federal guidance. 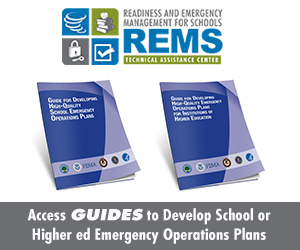 In January 2015, the REMS TA Center released EOP ASSIST, a free, Web-accessible software application (app) that walks school and district emergency management personnel through the six-step planning process recommended in the School Guide and results in a customized school EOP. This tool, which is downloaded and installed onto local servers, was updated to allow state agencies or regional education agencies to host the software app on their server for schools and school districts in their jurisdiction. In September 2015, the REMS TA Center distributed the EOP ASSIST Interactive Workbook. Composed of Microsoft Word worksheets and PDF instructions, this offline tool walks school and district emergency management personnel through the six-step planning process recommended in the School Guide and results in a customized school EOP. Both EOP ASSIST and the EOP ASSIST Interactive Workbook provides planning teams with an interactive platform to work through the six-step planning process to develop a school EOP, during which they have access to a repository of relevant resources and help topics. Not only do these tools generate a customizable school EOP based on Federal guidance, but they also facilitates collaboration among school planning team members by allowing multiple users to develop the EOP together. In October 2017, the REMS TA Center released SITE ASSESS, a free, secure mobile app designed specifically for education agencies to conduct site assessments. This app allows personnel to walk around buildings and grounds and examine their safety, security, accessibility and emergency preparedness.